Soluz installed a grid-tied PV system in the cafeteria at Faith Home, a Baptist supported children’s home. 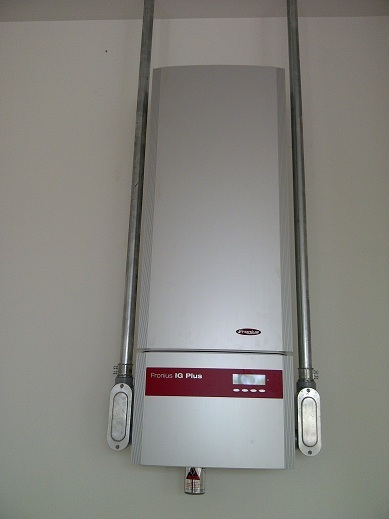 The system has a 13.7 kilowatt solar PV array and two high quality 6.6kW Solectria inverters. The system is monitored using Solrenview, Solectria's online monitoring service. The PV system generates electrical power to reduce the monthly electric utility bill using a clean energy source that helps to protect the environment. Soluz installed a 10 kilowatt grid-tied PV system at Loyola Technical Institute which allows the institution to generate electricity for the administrative area, thereby reducing their electric utility bill. The project was implemented in coordination with the University of Massachusetts Lowell (UML) by engaging graduate students from the university’s Solar Energy Engineering program. The electrical trade students at Loyola also participated in the PV system installation. The project also has ongoing educational benefits because students now have a permanent display of PV technology at the institute. 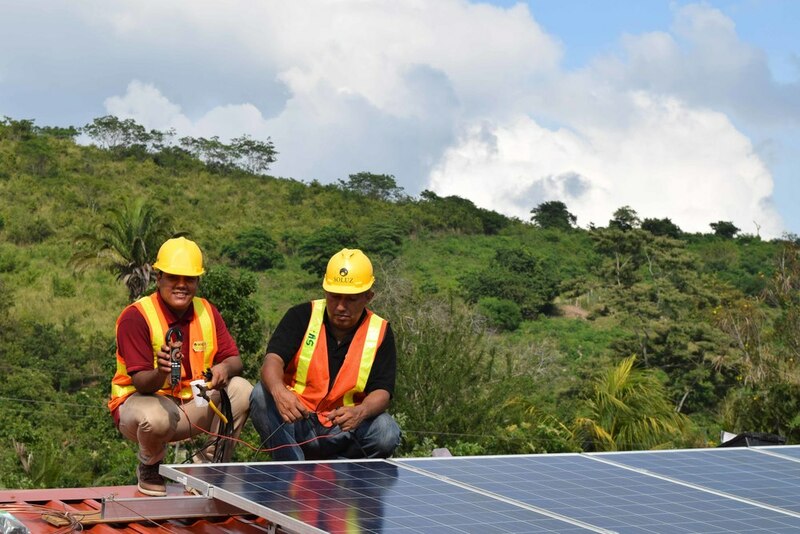 The project received a donation of PV modules from UML, and donated funds from Activiteca International, an NGO focused on education in Honduras. 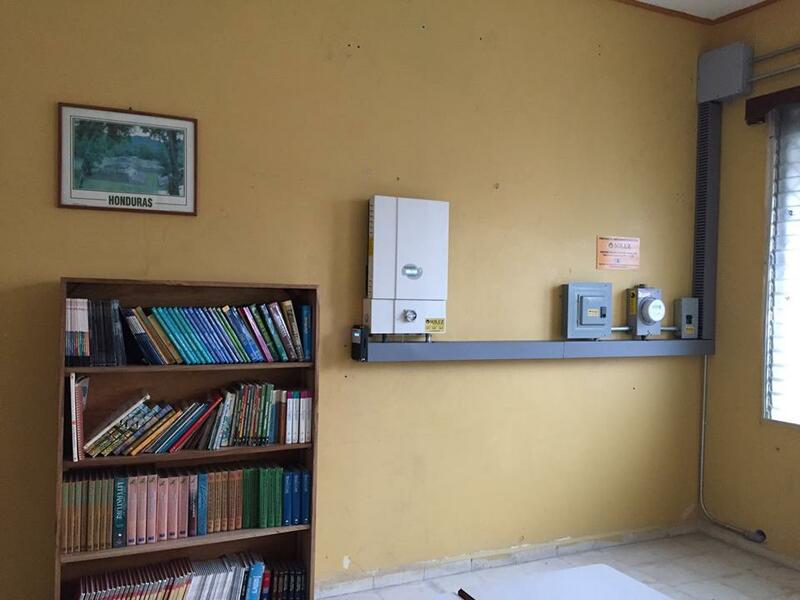 The Lyoness School solar PV project is located in the city of La Ceiba in the department of Atlantida, Honduras. This grid-tied PV system has a 12.7 kilowatt solar array and an 11.4 kilowatt inverter. The system is designed to produce more than 60% of the energy demand of the school, thereby reducing the electric utility bill so that more of the school budget can be spent on education. The project was funded by the Greenfinity Foundation of Switzerland. Soluz offers grid-tied PV systems to reduce your monthly electricity bill. These PV systems interconnect with the electric utility grid. In these PV systems the electricity from the solar panels is converted to AC power by a special grid-tied inverter which synchronizes the power with the ENEE electrical grid power. The output is connected to the load center and from there distributed throughout the building. If the electricity produced is not consumed at the time of generation, it is sent to out to the ENEE grid through a bidirectional electrical meter. Our grid-tied PV systems can be installed in homes, businesses and NGOs. To determine the capacity of the PV system required it is helpful to review the last six months of electrical energy consumption in kilowatt-hours (kWh) on the ENEE electrical bill. These systems can be monitored from a website to track the amount of electrical energy generated. To provide you with backup power when the ENEE electrical grid has blackouts we offer inverter-charger backup power systems. The backup system uses an inverter-charger connected to a bank of deep cycle batteries. The system charges the batteries when grid electricity is available. When an ENEE blackout occurs the backup system automatically turns on the inverter, converting the energy stored in the battery to a stable source of AC electricity. Unlike a generator it is completely silent and without noxious fumes. The specific power output of the inverter-charger, as well as the number of batteries for storage, is selected according to your needs, the power consumption of the appliances desired and the number of backup hours required.